Happy Friday…again!! 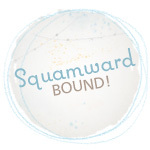 Banner morning for making stuff, cleaning up and doing laundry (I guess that’s what happens when you get up at 4:30 am! I’ll be napping soon….) The story of the 6th is the story of an early Christmas present for Charlie !! I’m trying to catch up and keep things simple so here we go…. Double spread today, you get my messy desk and attempts at caffeination as a bonus! Right side close up… Charlie enjoying his early Christmas gift! I used the overlay on top of the photo and changed the color to better coordinate w the layout, added a sticker from Authentique sheet. Journaling on a card I made up from Ali’s 4×6 Templates vol. 3, changed the color to coordinate w the layout, typed up the journaling, printed it out on yardstick I’d trimmed to 4×6 before running thru printer… added sticker tag w some bakers twine… Done! Here’s how the see-through elements from day 5 worked with the day 6 layout… I think they work together pretty well! OK off to get ready for work and do more laundry! Catching up slowly but surely! December Daily is a memory keeping project by Ali Edwards, click on the link for more information from her website. A quick departure from December Daily shares for… a Christmas layout! Because as I look out my window right now, it looks a lot like the photo below…but 40 degrees colder! Kit and template are from Joy to the World Bundle (buy the bundle, get the templates and the kit yippee!) 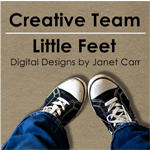 by Little Feet Digital Designs. I wonder what the weather gods will bring for us this year?! Santa, can we have enough snow to look pretty but not enough to really have to work hard at shoveling?! Well it’s now the 8th and I’m a few days behind on DD….honestly I am not sure what happened and why it’s Thursday because wasn’t it just Tuesday??? Yikes…better start Christmas shopping or it will be xmas eve and I’ll be madly clicking on Amazon! I knew the story of Day 5 was going to be the story of the first snow of the season. The girls were SO excited when they went out to the bus and it was snowing… as evidenced by the blown-up SnapChat screen grab I made from Lily ;-). So the story was there it has just taken 2 days to sit down and pull it together! I knew I was going to use the snapchat photo, plus another photo Charlie sent as well as the “five things” card from the Main AE Dec. Daily Kit. The rest up in the air… I ended up finding the PERFECT piece of transparent overlay when I was looking in a box for something else….as a bonus, when I took the protective plastic off I realized the little branches were blue! yay… Found old snowflake stamp and stamped paper as a background for the snapchat photo which is on the left, then used it for the “5” that went on the overlay along with a “let it snow” banner from who knows when??? I went with a 4 pocket page protector and put in Charlie’s photo of the backyard along with the “5 Things” card, the “celebrate this” round backed in a bit of blue paper and then hand-trimmed, and some wood snowflakes from last year (?) with some shiny sparkly enamel dots. Used Ali Edwards Gold Makers ink for stamping, beautiful metallic finish! I also added in some mini wood veneer snowflakes that I’ve had forever here and there on the layout. Journaling by hand…is it perfectly straight? No. Was it the pen that I wanted to use to write? No…somewhere is my lt grey sharpie pen and I know not where it has disappeared to hmmm… BUT I just got on with it and got it done. Repeat with me…done is better than perfect. Close-up of the transparency overlaid over the page… I slipped a sheet of white paper under for clarity until I figure out what is going on the back for Day 6. I love playing with transparencies and the hide and seek of what’s underneath!